Thanks to Reading Rainbow, we all know you can learn and do anything with just a book and your imagination. But perhaps it's time to consider the dark side of such a power and ask ourselves: What's LeVar Burton really planning? Burton teamed up with Funny or Die for a revised version of the beloved original Reading Rainbow intro (via UpRoxx). It begins chipper but quickly morphs into a dark cautionary tale about literacy and corruption. And thanks to that Kickstarter, it's too late to stop him now. 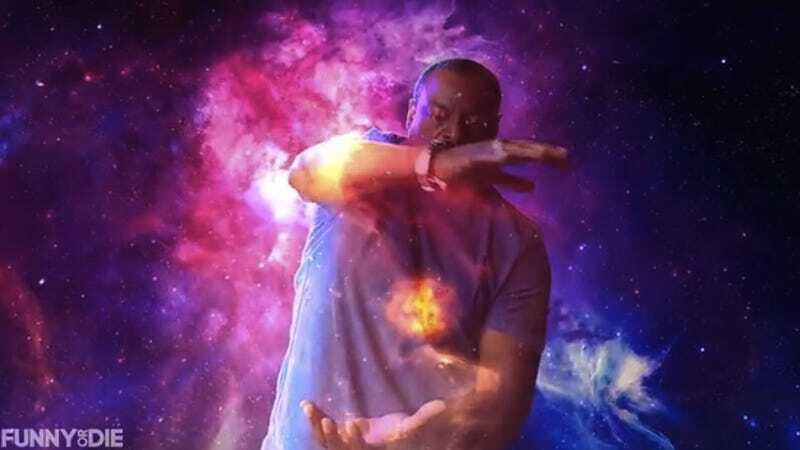 Kneel before your new ruler, LeVar Burton!